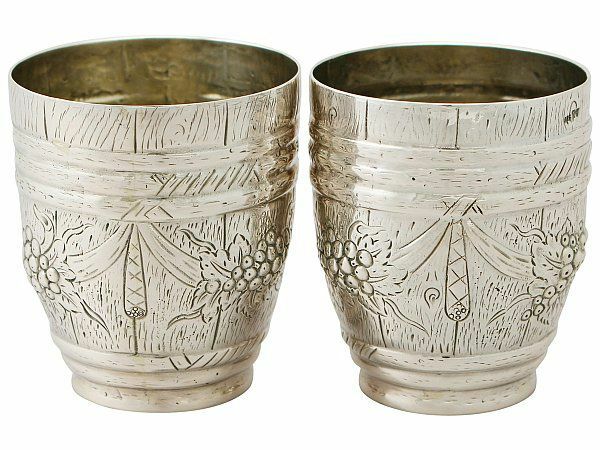 These antique German silver beakers have a barrel shaped form. 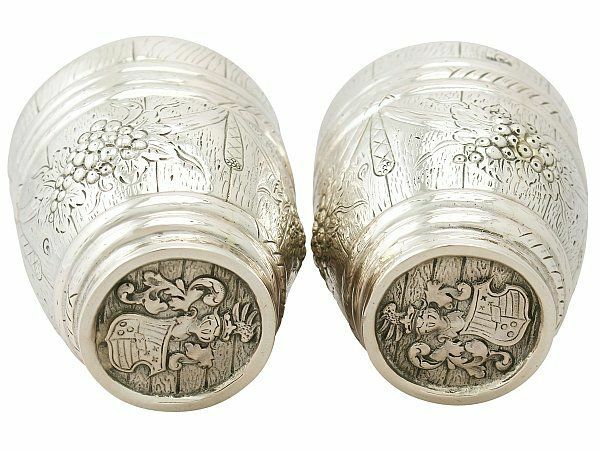 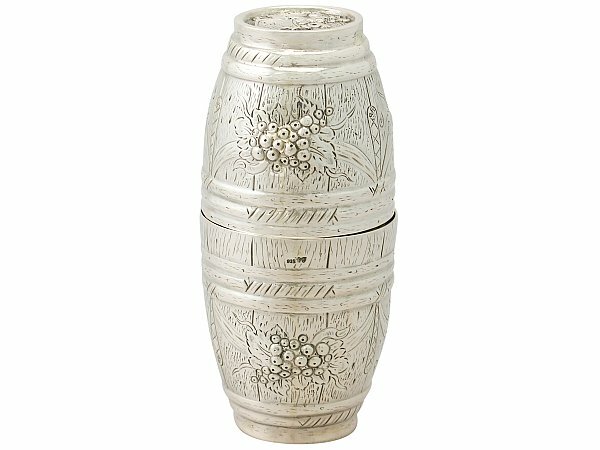 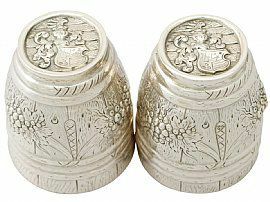 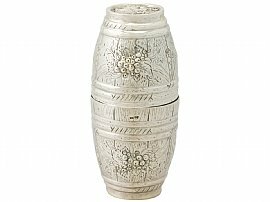 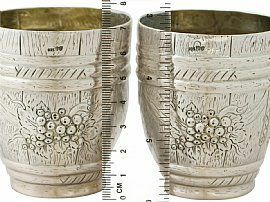 The surface of each silver beaker is encompassed with embossed and chased leaf and berry swag motifs in addition to chased wood grain decoration to the barrel's vertical staves. 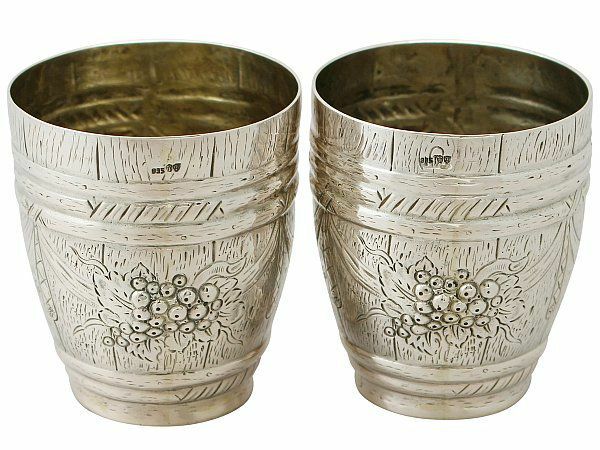 These antique beakers are further ornamented with bands of chased decoration encircling the upper and lower portions, reproducing the bilge, quarter and head hoop of a barrel. 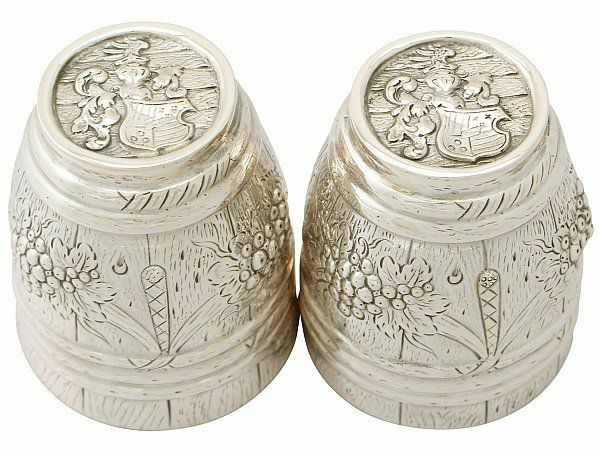 Unusually, these antique beakers have chased decorated bases displaying a stylised coat of arms and crest, incorporating an impressive helm and mantling, all against a wood grain style background. 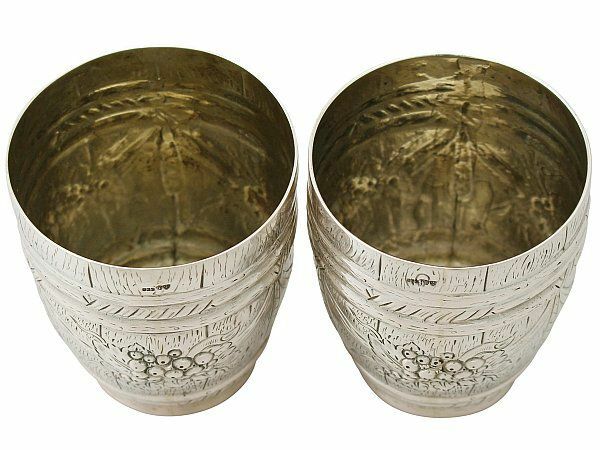 These German silver beakers have gilded interiors. 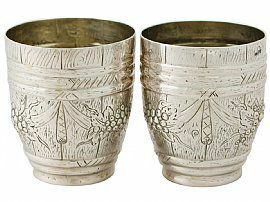 These antique German silver beakers are a very good gauge of silver, very good quality and in excellent condition. 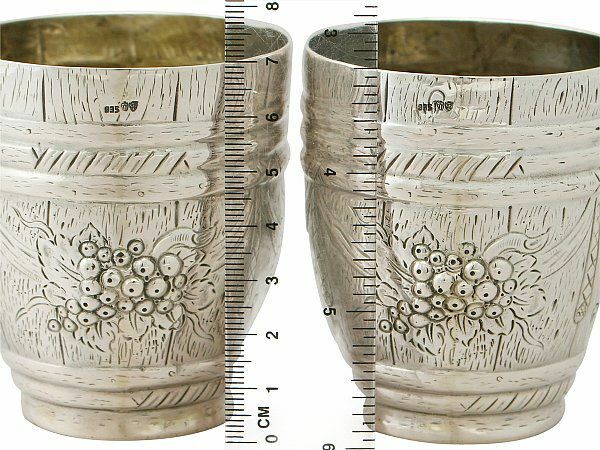 Each silver beaker has been professionally polished and are in presentation condition. 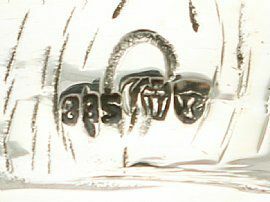 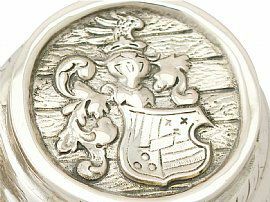 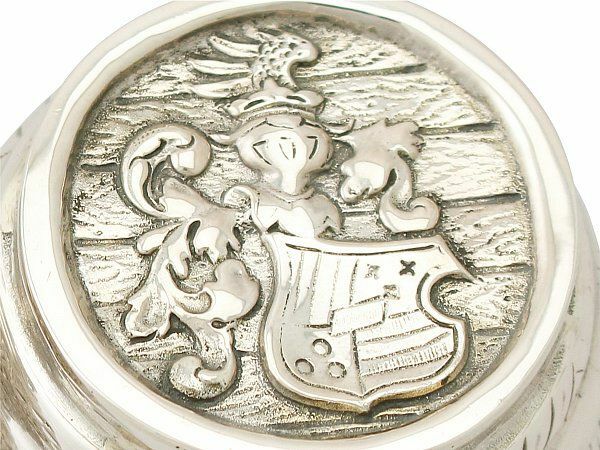 The German hallmarks struck to the surface of each beaker are very clear.